In 1-cup measuring cup, mix dressing, lime peel, lime juice and cilantro. In large bowl, toss beans, salad greens and tomato. Stir in dressing mixture until salad is coated. Top with avocado. 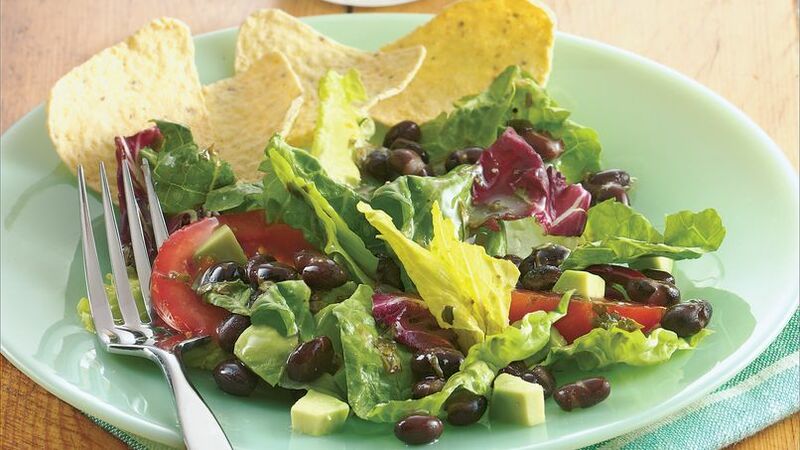 For added crunch, divide salad among six plates and arrange baked tortilla chips around the edge of each plate. Avocados contain vitamin E, an antioxidant thought to help protect against heart disease and some types of cancer.